Bicycles are a popular mean of transportation around campus and there are many bike stands to accommodate parking. Unfortunately there are also a lot of bike thieves! As a precaution against theft, get a case-hardened U-lock and sturdy chain and use them at all times. You may also want to register your bike with the Department of Public Safety, or DPS, to help deter crime. You may also want to store your bike during the winter months; check out this article from Beyond the Diag to get some tips on winterizing your bike! More information about cycling can be found on the parking and transporation website. For those interested in recreational cycling, a set of bike route maps for Washtenaw County is available online. Bicycle riders are required to obey all traffic signs (including one-way streets). More information on safety, bike sharing, and parking is available on the City of Ann Arbor website. Don't own a bike? No problem! 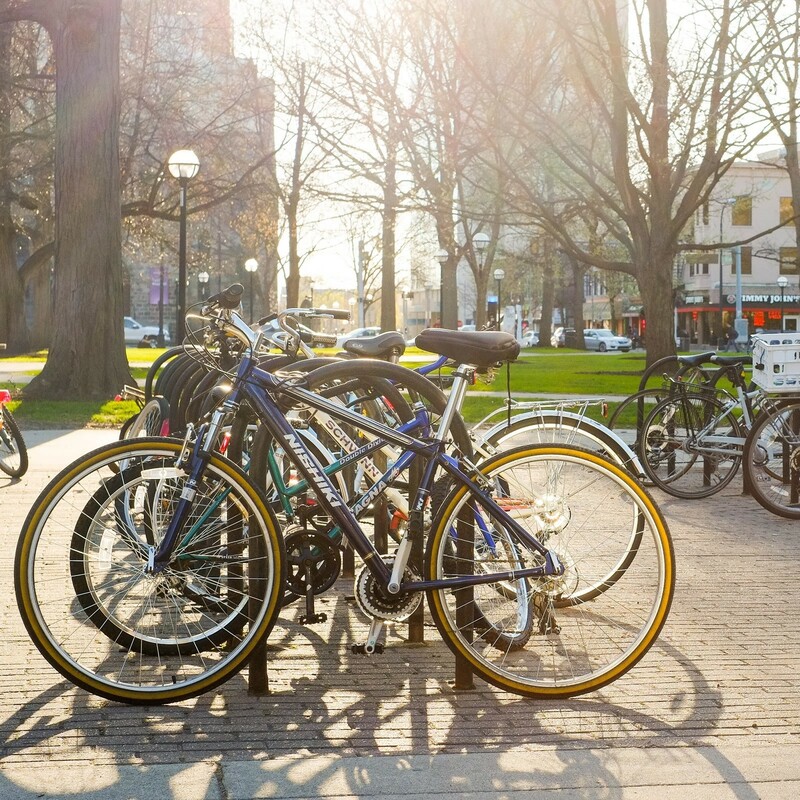 ArborBike recently introduced their bike share program at the University of Michigan. B-cycle and Clean Energy Coalition are working together to provide students with easy bike accessibility without the hassles of maintenance and care. The bike share program is meant for quick trips, so bikes stay in circulation and are available for other bikers. Membership options range from $6 for 24 hours, $9.99 for a month, and $65 for a year. The installation of bike stations provides students, staff, and locals with alternative forms of transportation and encourages sustainability goals. There are six stations throughout campus and downtown Ann Arbor. These locations purposely target areas with high population and employment densities with a concentration of University students. By next year, ArborBike expects to have 14 bike docks installed and 125 rentable bicycles available. Join online or at any bike dock. Select your bicycle at any station. Ride to your destination. HAVE A FUN RIDE! Return you bike to any station. Now for a cheesy bicycle joke!